Above: "stairway to heaven". There is no mortar holding this vertiginous thousand-year-old staircase together; the individual steps are made of irregular and roughly hewn stones. We usually only get to hear from the Acts of the Apostles during the season of Eastertide. However, this online retreat, which takes place over five sessions, is designed to help us reflect at any time of the year on the story of the early Christian community and, through that narrative, discern the promptings of the Holy Spirit in our own lives, and open ourselves more fully to the spirit of Pentecost. 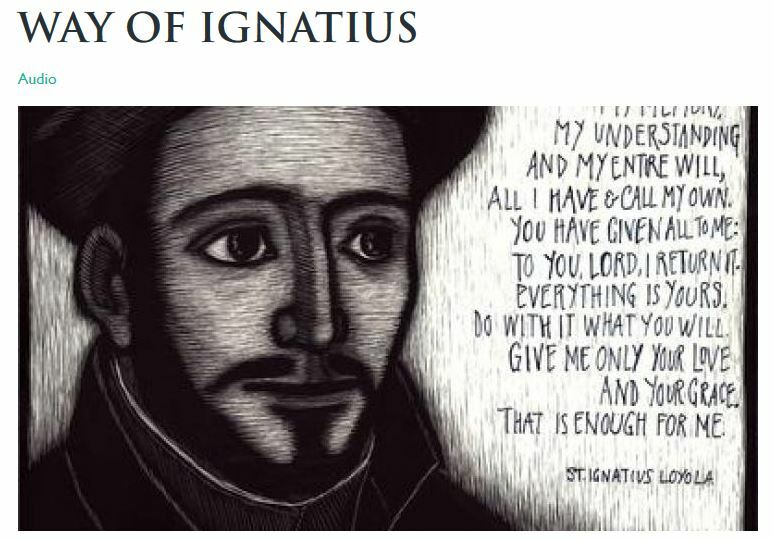 “The Way of Saint Ignatius” is a five-day programme of audio meditations in the Ignatian tradition, with each day building on the previous one, giving the user the opportunity to go deeper into Ignatian spirituality. Beautiful short retreat from Pray As You Go: “Living the Magnificat”. How to be open to God’s will and how to respond to God. Can be done over a day or a week. The Spiritual Exercises are a compilation of meditations, prayers, and contemplative practices developed by St. Ignatius Loyola to help people deepen their relationship with God. 3-Minute Retreats from Loyola Press invite you to take a short prayer break right at your computer. Spend some quiet time reflecting on a Scripture passage. "God's Grandeur" is nother inspiring short retreat from Pray As You Go, focussing on the poetry of Gerard Manley Hopkins. A 34-week guided online retreat from Creighton Jesuit University, Omaha.